The agent of Manchester United forward Anthony Martial has reportedly indicated that his client is close to signing a new contract in news that could be confirmed by the club next week. The France international is a hugely important part of this Red Devils squad and it would be great news for the club if they can keep hold of him. This latest update comes from Telefoot, with additional information from Get French Football News suggesting the player’s agent has said a new deal should be announced shortly. ?? Info Téléfoot : Anthony Martial va prolonger son contrat avec Manchester United jusqu’en 2024, l’annonce officielle devrait être faite dans le courant de la semaine prochaine. There is seemingly no quote from the agent, but with this coming from reliable sources in France we assume he must have said something to someone, albeit not in an official interview situation. 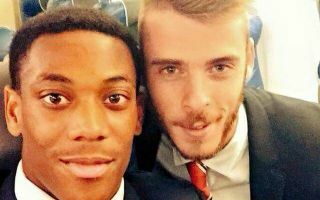 Martial joined United from Monaco back in 2015 and has always been a hugely popular player at Old Trafford, despite some ups and downs. This has arguably been his most convincing season yet and fans will be delighted it seems he’s ready to commit his future and spend his peak years in Manchester.